THIS IS A HAIR TREATMENT. To use on a child or adult. Follow instructions on label . nd use as a treatment every 4 - 8weeks. Your hair will not go hard like a traditional protein treatment. For every 2 spoons of conditioner mix in 1 spoon of protein defence. Your hair will not go hard like a traditional protein treatments. Start with ration 3:1 if you are unsure what to do. Case studies have shown that hair is degraded by a number of factors such as sunlight so now imagine what yourself inflicted actions would have caused too. 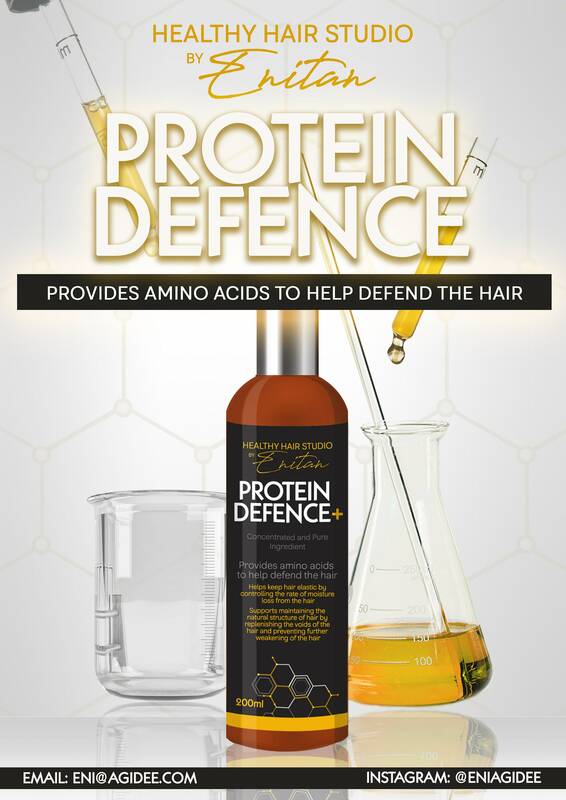 Protein Defence consists of a particular type of amino acid that is needed to form keratin. There is no keratin without it. breakage-resistant hair without causing stiff hair side effects. ALL hair types need a build u up in keratin levels as part of an effective regime. I’ve been expecting my item to arrive between 3-5 days but it’s been almost 3 weeks and the item has not arrived.